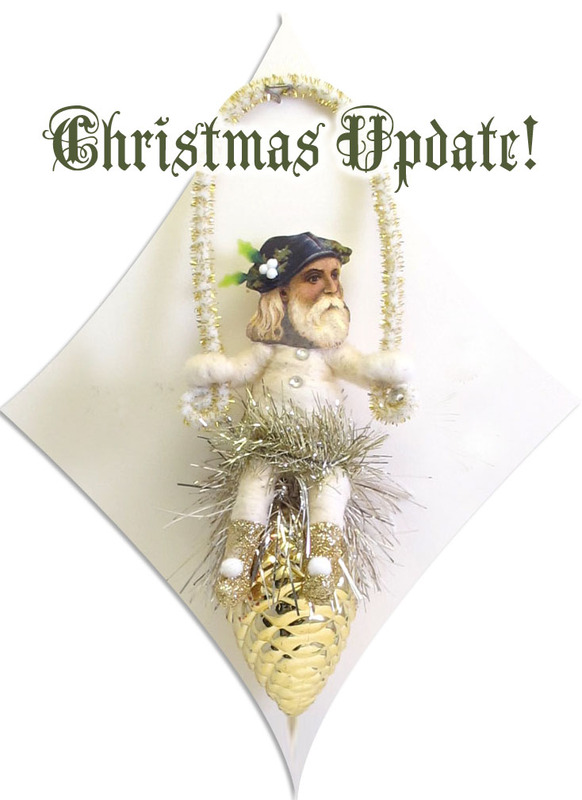 Vintage by Crystal: Christmas Update Announcement! The days are getting chilly and some of you have even had snow! You know what that means? Christmas is coming!! And with it comes lots of new spun cotton goodness! I've been using lots of neat vintage ornament's and doodads that have been waiting patiently for their revival and I can't wait to show you! You've sold everything , congratulations. Im putting up another photo on flickr of your wonderful creations left from my holiday Hallowe'en. Can't wait for my Christmas treasures.